The idea behind the concept of Net Neutrality arose in the early 2000s, when, inter alia, the High Tech Broadband Coalition (“HTBC”) filed comments before the Federal Communications Commission (“FCC”). At the time, the HTBC urged the FCC to “vigilantly monitor” the provision of internet services to consumers to ensure rights to access content of their choice. Today the matter has, to a great extent, become a political battle largely drawn along ideological/party lines. Nonetheless, the issue remains an important one that should not be ignored, especially in today’s world where access to the internet is essential to daily personal and business life. The regulations, put in place by the Obama administration in 2015, enshrined the principle of net neutrality in U.S. law. The basic tenet of Net Neutrality is that Internet Service Providers (“ISPs”), like ComCast, Spectrum or Verizon, should treat all internet traffic ‘traveling’ through their infrastructure to the end consumer in the same manner. Essentially, Net Neutrality ensures that these ISPs act as mere conduits to data that travel between the content provider/originator and the end consumer. Some of the initial proponents of Net Neutrality were content providers, such as Amazon and Google, who put forward the view that regulation was needed to ensure broadband providers were not unfairly, or otherwise, prioritizing the internet. It was argued that such prioritization would lead to consumers receiving substandard service and experience, especially when the providers themselves were competing in the provision of similar services. Since these initial days, the arguments for net neutrality has gained widespread support, amongst them from the American Civil Liberties Union (ACLU). They argue that there is no guarantee the internet will remain a free and open medium should Net Neutrality be taken away. Rather, they argue, the pursuit of profit and corporate policies, may favor the monitoring and playing favorites to what individuals see on the internet and/or the quality of their connection. There were well known instances in the past where AT&T interfered by censoring a rock star’s political speech and Comcast decreasing the quality of the internet services to those who use BitTorrent programs. The ACLU also cites to an occasion where a Canadian Wireless provider, Telus, blocked its users from accessing the website of a Labor Union that was on strike against Telus. The repeal of Net Neutrality concerns are well-founded. In other jurisdictions, where net neutrality laws were not to the standard set forth by the Obama Administration, ISPs have been experimenting with plan offerings of piecemeal media and data offerings. In Portugal, with no net neutrality, internet providers are starting to split the net into packages. 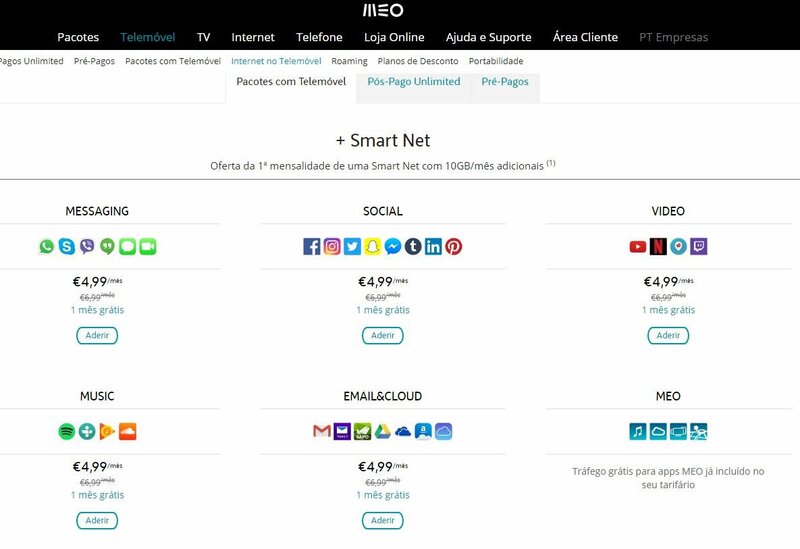 In Portugal, mobile carrier MEO offers regular data packages, but it also offers, for €4.99 a month, 10GB “Smart Net” packages. One such package for video provides 10GB of data exclusively for YouTube, Netflix, Periscope and Twitch, while one for messaging bundles six apps including Skype, WhatsApp and FaceTime. In New Zealand, Vodafone offers a similar service: for a daily, weekly, or monthly fee, users can exempt bundles of apps from their monthly cap. A “Social Pass” offers unlimited Facebook, Instagram, Snapchat and Twitter for NZ$10 for 28 days, while a “Video Pass” gives five streaming services – including Netflix but not YouTube – for $20 a month. However, when discussing the issue of Net Neutrality, it should not be discussed without analyzing the arguments of the ISPs outside of the political prism. The reality is the provision of internet services to data hungry consumers is an expensive endeavor. Hence, the reason why common carriers, such as telecom and now internet service providers, have been traditionally allowed a natural monopoly. High entry costs and barriers to entry meant only a few large companies are able to provide a service to the end consumers. The present composition of FCC, trying to undo (or palm off the policing of the internet to the FTC) argue that since 2015, when Neutrality regulations came into force, investment in broadband infrastructure has diminished. This in-turn, they argue, would mean areas where broadband services are unavailable or less available would fall further behind in infrastructure investments as the revenue streams for the providers are harder to come by. Thus, it is clear that the debate about Net Neutrality is a serious and could decide the future of America’s superhighway. Decisions on such a wide ranging and important subject matter should be taken after careful consultations with all parties concerned and devoid of the toxic political climate. This issue, effectively, if not decided properly has the potential to adversely affect America’s edge in innovation and competition. The vote is planned for Thursday, December 14, 2017 and the net neutrality repeal proposal is expected to pass along party lines.